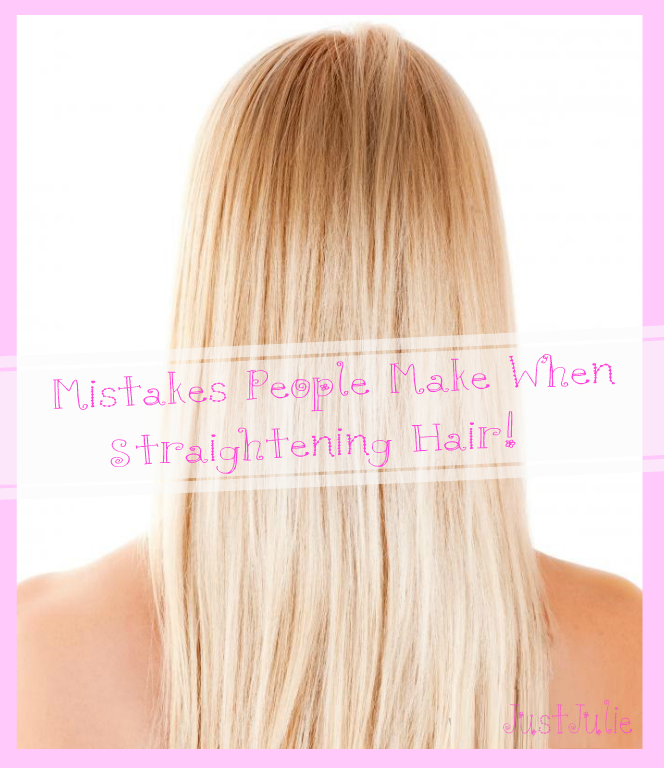 Mistakes People Make When Straightening Hair! If you read my past blog post Can You Imagine A Life Before at the end I said how I used to be obsessed with straightening my hair, literally to the point where I straightened my hair to an inch of it's life. My hairdresser (and friend) used to tell me that I needed to lay off the heat but I would have rather have had frizzled hair than big fluffy hair so I continued to abuse my hair, twice daily and going over each section of my hair multiple times. Eventually my hair stopped growing and I'd find these tiny bits of hair snapping off all over the place.... not good! I will point out that I've been straightening my hair for around 14 years. I had grown up with hair down to my bum and it was so curly and thick. When people were going out paying for a perm, I'd just be hitting my hair up with mousse and half a tin of hairspray, cos back then I didn't want my hair to move, I wanted my curls hard! I'm cringing now... I finally wanted sleek straight hair and nothing and no one was going to get in my way! Every common mistake people make when straightening their hair is something I myself have done, so speak from experience. I'm now in a situation where I work for an amazing brand that have taught my soooo much about heat, styling and how hair reacts to heat. I spend a lot of my day ensuring people know the best way to achieve a straighter finish, whilst causing less damage to their hair. If I knew then what I know now I'd have hair like Rapunzel! Not blow drying your hair prior to straightening it. In our minds if we cut out blow drying our hair and allowing it to dry naturally then going in with the straighteners we are reducing the amount of heat we put on our hair, causing less damage. FALSE! This is the worse thing we can do to our hair as blow drying is the START of the styling process. Hair has three layers and the top layer is the cuticle, which acts as a protector the the other two layers. If you don't blow dry your hair, your cuticles will not close fully, which will allow for moisture to enter the inner layers of your hair.... which will result in frizzy hair, something we don't want! It will also make our hair feel a bit rougher and not as smooth. If you blow dry your hair you will get a much smoother straighter finish where you will then not need to straighten your hair as much, causing less work and less damage. Heat from a hair dryer is far less damaging than heat from a hair straightener. People always wonder why they can't get their hair to look or feel the same as it does after a trip to the salon, well aside from the good products they use it's because they blow dry your hair before running straighteners over the top. Since blow drying my hair properly I literally spend 10 minutes blow drying my hair and 5 minutes to straighten it so a total of 15 minutes, whereas before it would take me an hour minimum. Not using a heat protector before putting heat on your hair. This is something I was guilty of doing. You see we need to treat our hair like it's silk and I'm pretty sure you wouldn't put a hot iron straight on top of pure silk... well I hope not! You need to provide a barrier between your hair and the heat appliance you're using, this includes hair dryers and curling wands. I've met people who have very thick hair who think that they don't need to use anything, but they do. Ok their hair may be a bit more resilient than someone with super thin hair but they are the people who tend to straighten their hair more often to achieve a straight finish so of course you will need to protect it. Your hair may be lovely and thick at the moment but after a few years of straightening your hair unprotected it will begin to break. 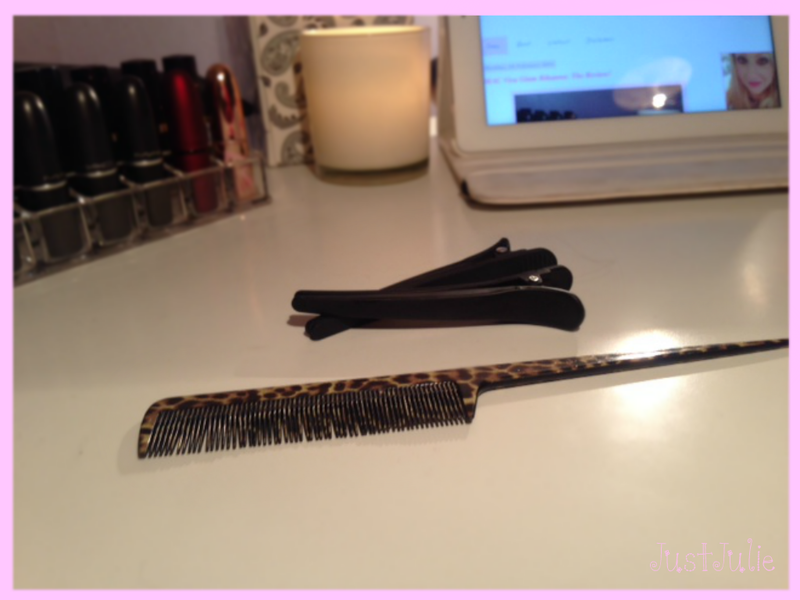 Not sectioning your hair before styling. I had a customer the other day tell me that she can never get her hair straight and she couldn't understand why. She had relatively fine hair so there was no reason for it not to go straight. I sat her down and asked her to show me how she straightens her hair. She grabbed a huge chunk of her hair and proceeded to go over that large section a total of 8 times, yes I counted.... I asked her if that's what she does every day and she said yes. I showed her what she should do, she tried it the following day and came and showed me how straight her hair now was! Heat can only travel so far through your hair. If you're going to do huge chunks of your hair then the heat is not going to be able to reach the middle of your hair. I separate my hair in to 3 sections, I then take 3 inch sections of hair and straighten it and go over it once and it's straight. We are under the illusion that if we take huge chunks of our hair that it will straighten our hair quicker. WRONG Ok I've timed it and it takes me a few minutes longer BUT my hair will remain straighter for longer which means I don't need to straighten my hair the following day, which means I can lay in for a little longer the next day. Not brushing or combing each section of hair before styling. Again this is something I see very often, people grabbing their hair and not combing it prior to straightening it. Remember what I said about the cuticle not lying flat beforehand? Not combing your hair so each strand of hair is going in the same direction will result in not achieving smooth hair. You will find that your plates will not go through the hair as smoothly, which you will feel as it will feel kind of rough when straightening your hair and possibly will pull and tug on your hair which can cause damage. Also you know when you see a hair dresser use a comb when they run the straighteners through your hair? This is something you should be doing, not only does it create smoother hair it will open the hair up to allow heat to transfer all the way through your hair, resulting in a straighter finish much faster. Remember heat can only transfer through hair so far, by using a comb to open it up your allowing the heat to go further.... if that makes any sense! It does when I'm explaining it in person! Wacking the temperature dial up to maximum because the hotter the plates the straighter your hair will go. This is one of the worse things we can do and again I've had many customers tell me this is what they do, yet it still takes them ages to get their hair straight! Temperature dials are one of the worse things for our hair. What happens is that the appliance is always trying to maintain that temperature so throughout the plates you will find the centre to be the hottest and the ends cooler.... Hair absorbs heat and at the start of styling the temperature will be set, as we run the straighteners through the hair the temperature dips (due to the hair absorbing heat) it will then go back up and then will go back down. What does that mean to you? Well it means that you wont get even heat distribution throughout the hair, some areas will get too much heat, other areas wont get enough heat, ever noticed that you tend to go over the ends of your hair more often than the top part? Yeah that's down to uneven heat. We then eventually need to turn the temperature right up to the top as the lower or middle settings aren't doing what they used to do. Too much heat causes too much damage! We shouldn't be using anything over 200 degrees on our hair, any more will cause damage and anything over 217 degrees will cause irreplaceable damage to your hair. Achieving straight hair isn't all about how hot the appliance is, it's about how your hair reacts to heat, it's about where the heat is placed throughout the hair and how the heat transfers over to your hair. I could never understand why when using my old straighteners, which I used at 230 degrees, wouldn't get my hair straight, why did I need to go over my hair multiple times when now when using 185 degrees my hair is straight in one go and remains straighter for longer. Now I understand that there is a whole science to how hair reacts to heat and we want an even heat through the plate and throughout the whole styling of hair. 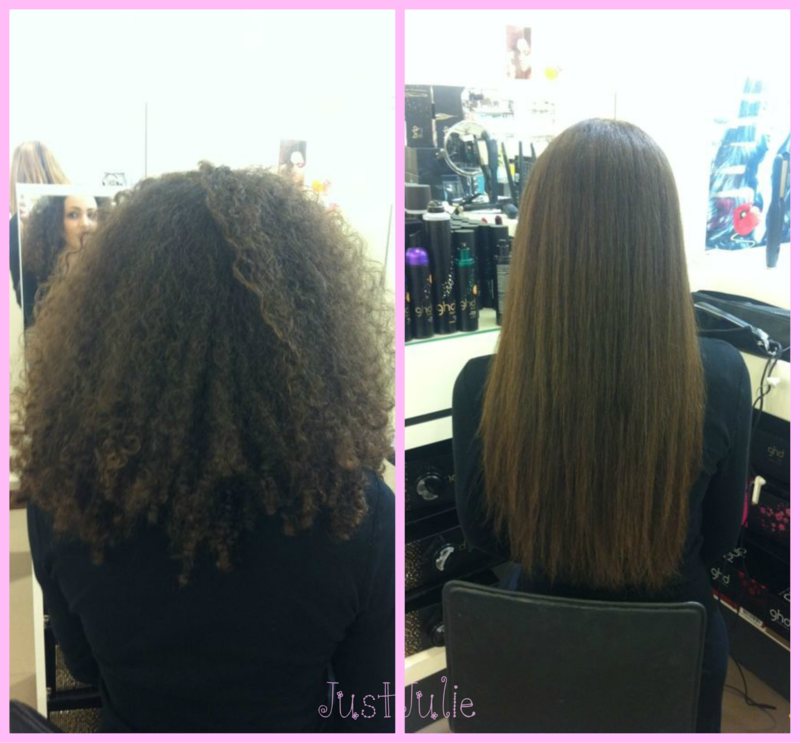 The faster you go through each section of hair the quicker it is to straighten. Again FALSE! You will get tired of me saying that I've seen people do this but I do!!! 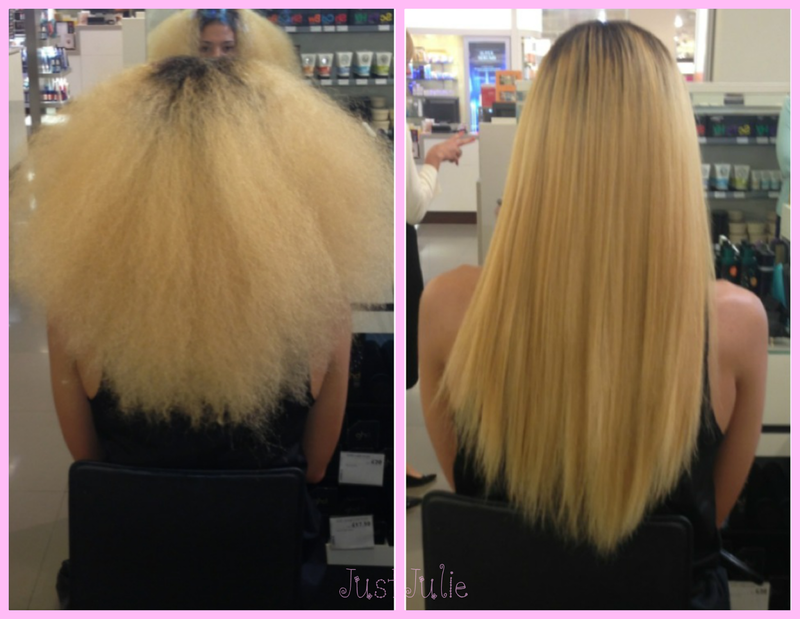 They go through each section of the hair before the heat even has a chance to do anything. Apparently doing that five times will give you straight hair. How about we all slow down for a minute? Now I'm not saying keep the plate still on your hair at all, what I'm saying is go through your hair slightly slower. It will give the heat a chance to actually do what it's meant to do and you will get a straighter finish pretty much straight away. It's actually quicker to go through the hair slower than it is to zoom through your hair at 100 miles per away multiple times!!! Make sure after blow drying your hair you blast your hair with the cool shot. Heat creates the style, cooling it down helps set it, by blasting the cool shot over your hair it will help keep your hair straighter and smoother. Never spray too much heat protector in your hair, especially when it's dry. You don't want to put heat on top of wet hair cos it's going to burn it! Spray a light missing from arms length then fully comb/brush through your hair so that the heat protector spreads evenly. 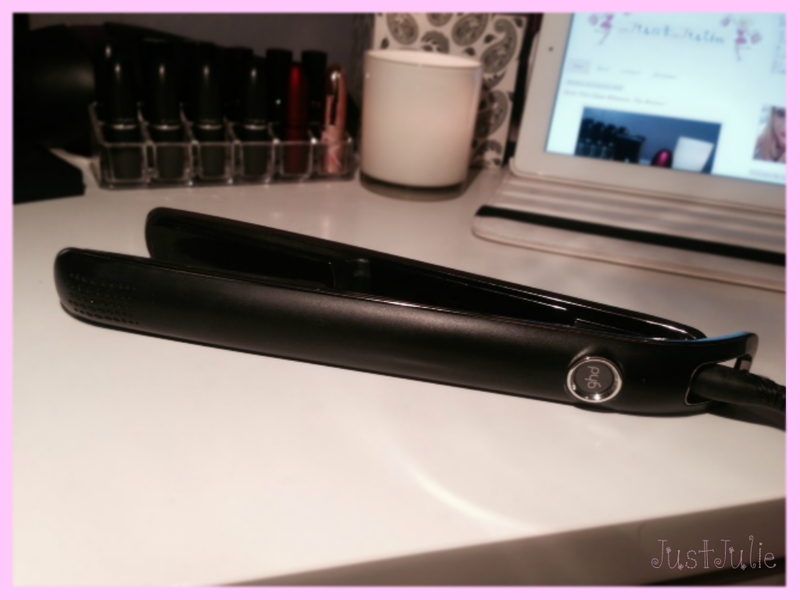 Never leave your hot hair straighteners on a surface that could burn or melt. This will not only burn whatever your resting them on but as a result whatever you've burnt will melt on to your plates which will kind of scrape through your hair. Clean your plates regularly. We pick up general dirt throughout the day and also if we use styling products both will gradually build up on your plates. We want to keep our plates clean and nice and smooth so that they are gentle and smooth on our hair. 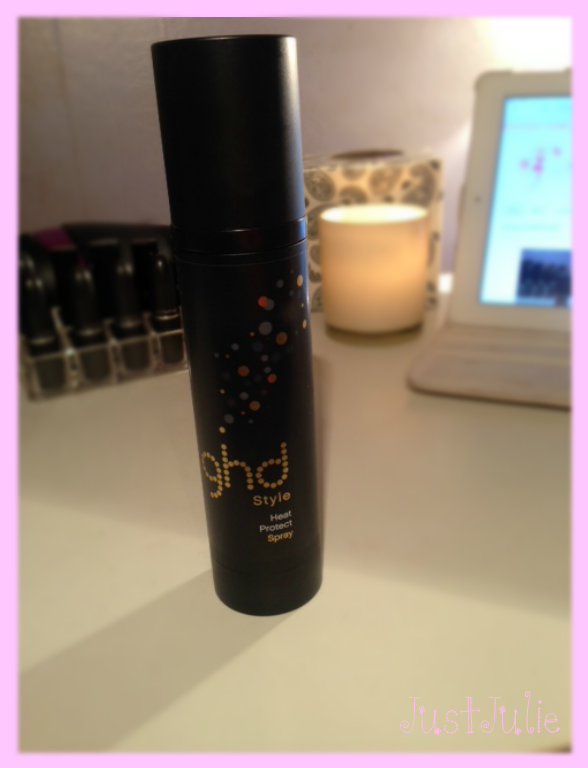 Since joining ghd (it's never spelt GHD it's always lower case... just a side note) I've learnt soooo much! I'm not trying to push the brand on to anyone, just trying to pass on things I've learnt from some amazing people who have worked in the hair industry for yeeears and it all makes sense to me now! I wish I knew then what I know now. My hair is gradually getting in a good condition, it all takes time and I'm sure if I cut out heat completely for 6 months my hair would be where it needs to be, but I wont do that! What I will do and have been doing is to learn a better, quicker and less damaging way to style my hair. I guarantee that if you blow dry your hair first, use a heat protector, section your hair, use a comb as you straighten your hair and go through each section slightly slower you will achieve a straighter finish much quicker, one that will last longer and as a result cause far less damage. Even if you have super thick, crazy curly hair OR even afro Caribbean hair you can still get a straight finish if you follow my steps, the pictures above I straightened and went through each section of their hair just once on 185 degrees heat! It took me longer to brush the bloody hair than what it did to straighten it! I challenge everyone to give this a try next time you straighten your hair. **I'd also like to point out I am not a hairdresser and the pictures of the products have been given to me through my job. This is not advertising as I'm not trying to say you should be using ghd, I've also provided no links. I needed pictures of the stuff you should use as these are the only ones I have that's why the pictures are included.